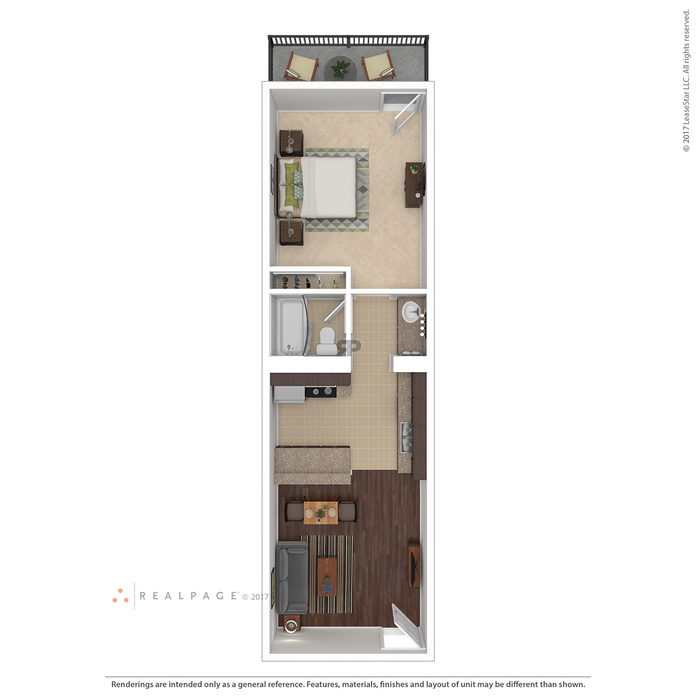 Chef-inspired kitchens with sleek European cabinets, designer lighting package, and granite counter tops are just a few of the custom finishes in your new apartment. 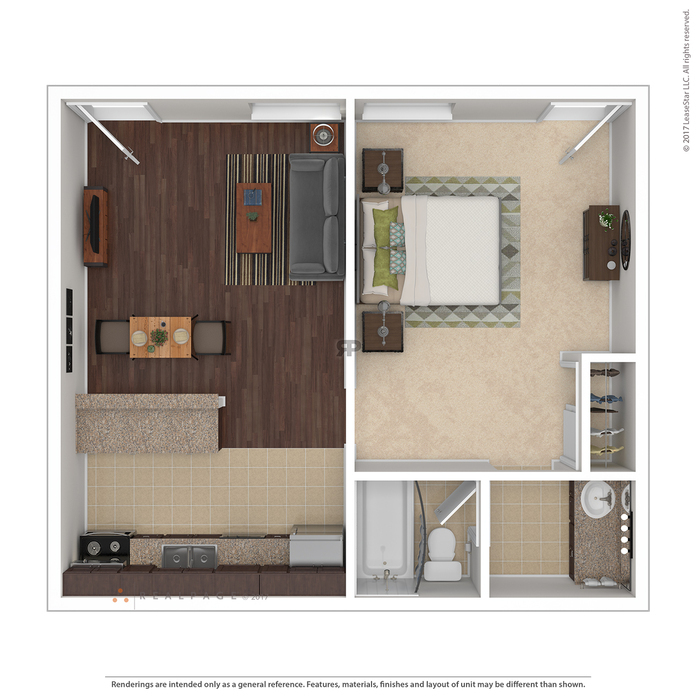 Take a look at all your options at the Palms on Main in Columbia, SC. 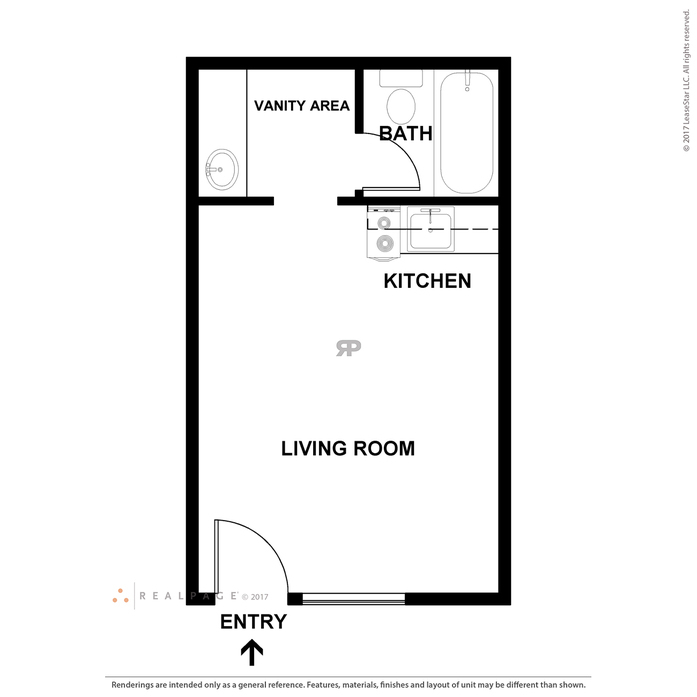 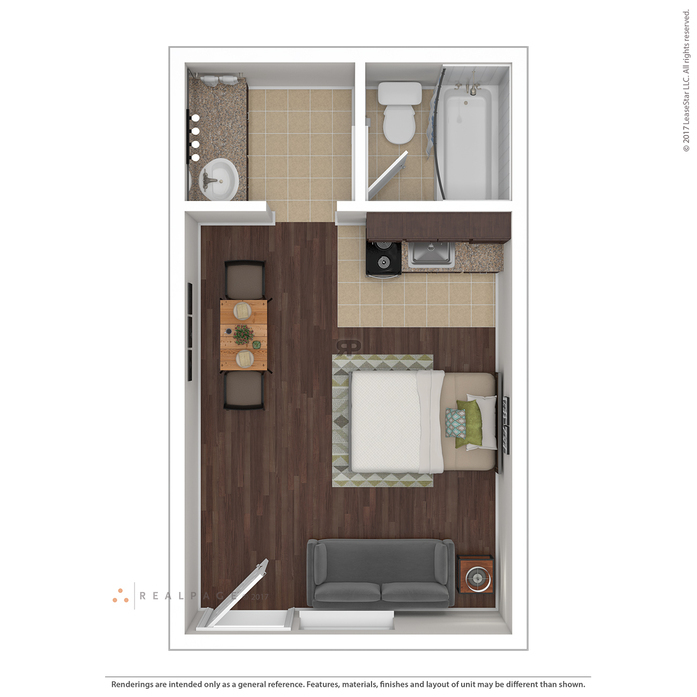 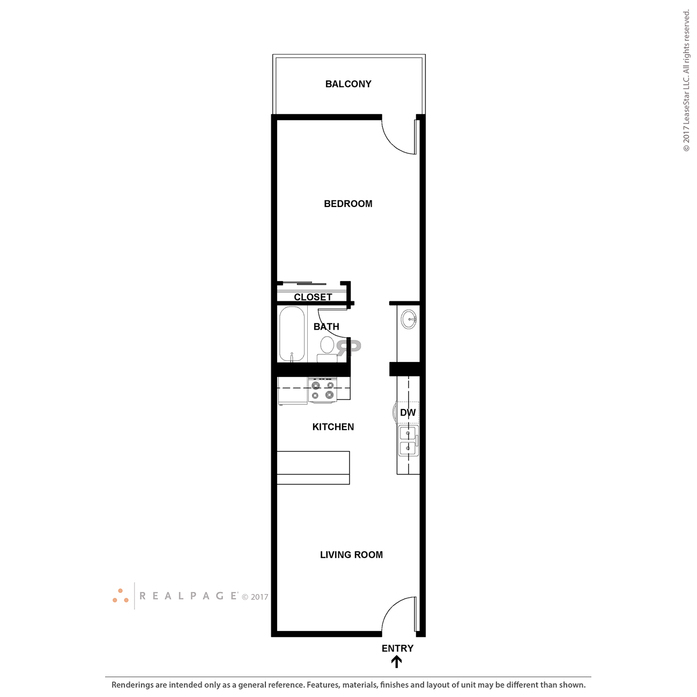 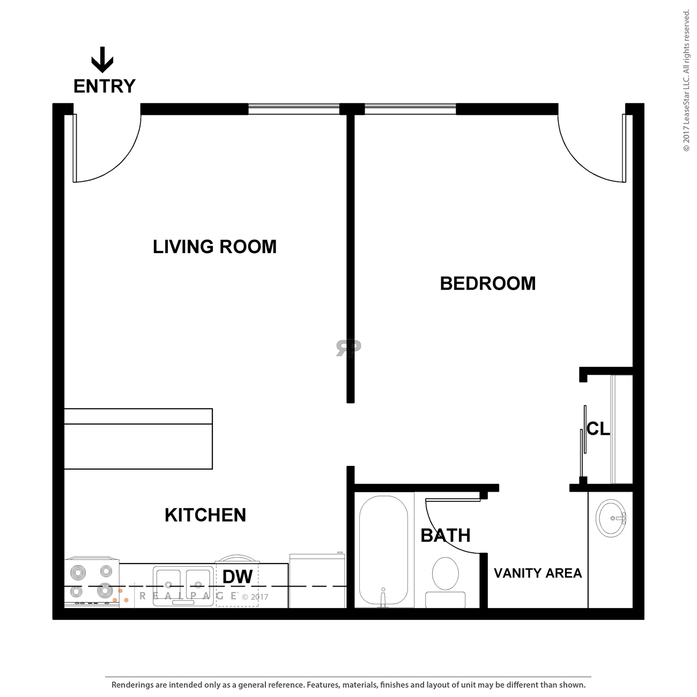 Sleek and modern, this studio floor plan comes completely furnished. 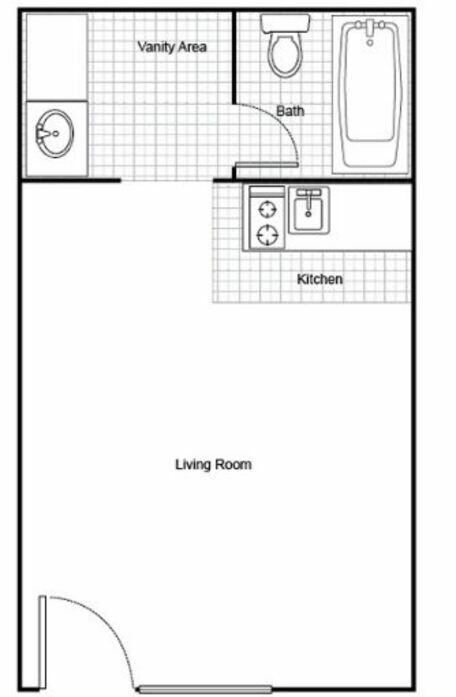 This spacious one bedroom apartment features a gorgeous chef-inspired kitchen with European cabinets. 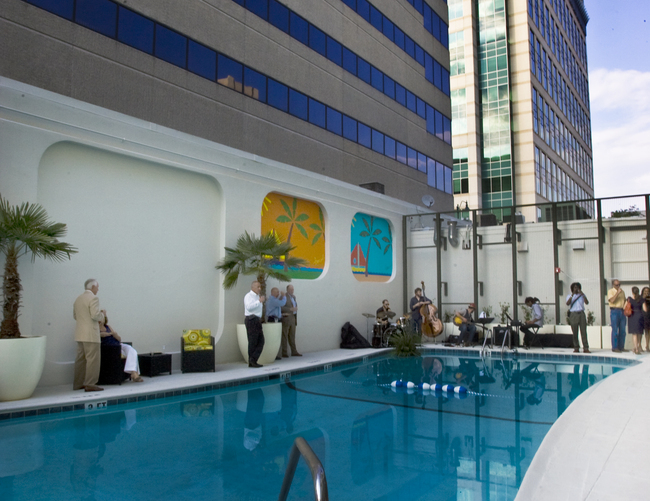 Each apartment includes a stunning pool or city view. 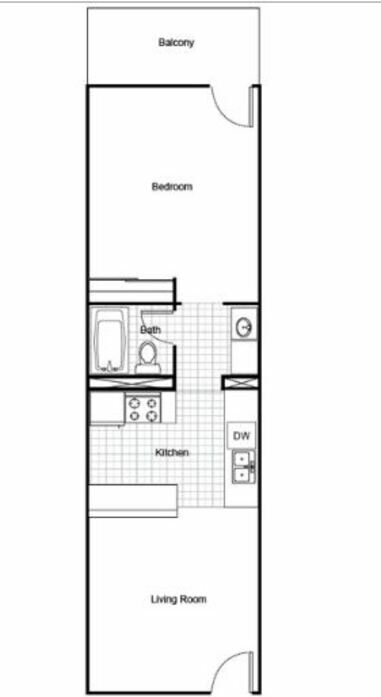 This unique one bedroom floor plan is divided by the chef-inspired kitchen. 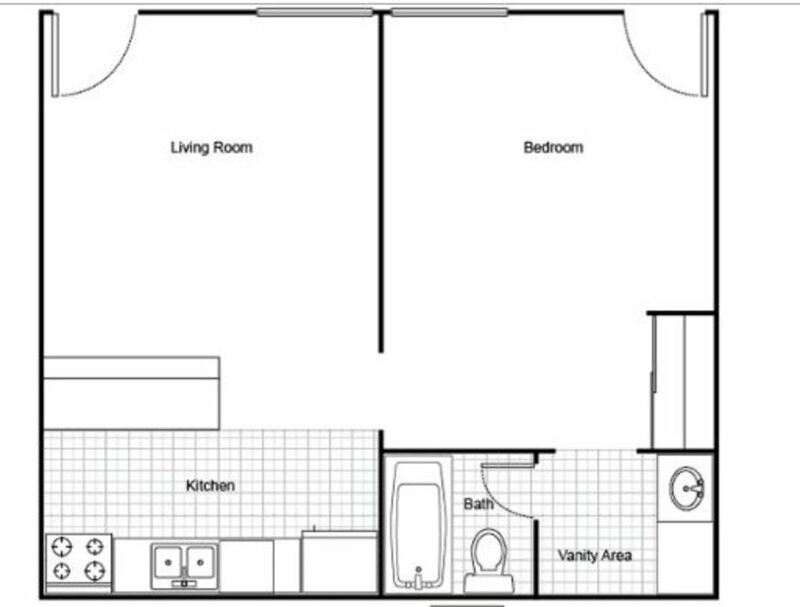 The bedroom has access to a large private balcony.